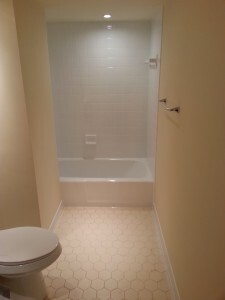 In just a few hours, Amazing Bathtub and Tile Refinishing NC can refinish your bathroom and kitchen tiles to match your décor. No ripping out old tiles. We offer a wide range of colors including basic black and white as well as an array of pastels and eye-popping colors guaranteed to make visitors take notice. We also offer a variety of faux-stone, environmentally-friendly finishes to transform your tiles and make your home the show-place you’ve always wanted it to be. *Ceramic tiles are first cleaned thoroughly, then acid etched for adhesion purposes. 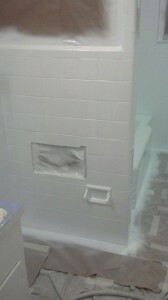 *We fill any grout lines that need it. 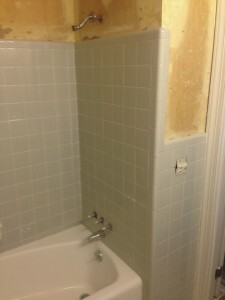 If the tiles need to be completely re-grouted there is an additional fee. Then we masked off the entire area and begin the spraying process. *Three coats of special primer and six coats of topcoat are applied which completes the process. The big advantage to resurfacing your ceramic tile is that grout lines are covered, but still visible, eliminating mildew problems. 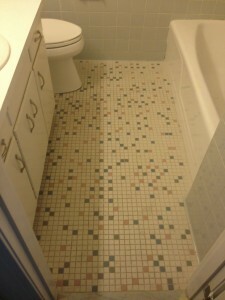 You can change the color of your tile for the fraction of the cost of replacing them. The drying time for tiles is 24 hours. If your tiles need to be completely re-grouted, the process will take two days to complete due to the drying time of the grout. What colors are instantly available? 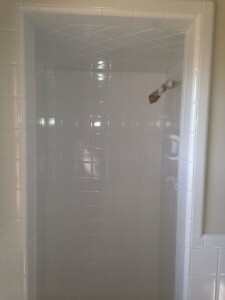 All Amazing Bathtub and Tile Refinishing NC surfaces come with a 10-year guarantee!